The museum currently has some 300 pieces on loan, including an 1887 self-portrait by Vincent van Gogh and Leonardo da Vinci's "La Belle Ferronniere". 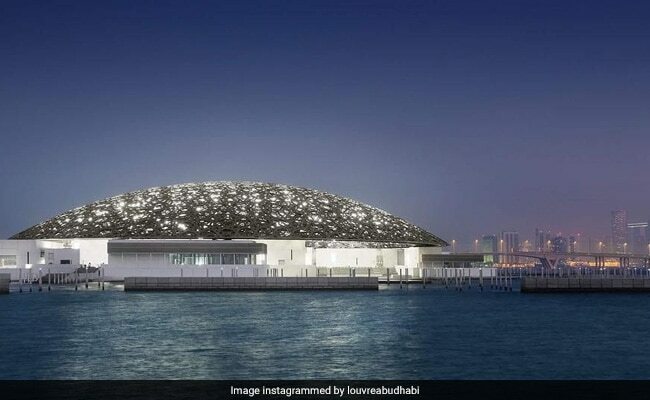 Abu Dhabi, UAE: More than a decade in the making, the Louvre Abu Dhabi opens its doors this week, bringing the famed name to the Arab world for the first time. For the next 10 years, 13 of France's top museums will lend works to the UAE at their discretion and for a maximum of two years each. The Louvre Abu Dhabi is displaying more than 250 works of art from the Emirati collection, including Edouard Manet's "The Gypsy" and works by Dutch abstract artist Piet Mondrian and Turkey's Osman Hamdi Bey. The UAE government is promoting the museum as the first of its kind, a 23-gallery "museum city in the sea" on Saadiyat Island off the Abu Dhabi coast. Some five percent of the museum is dedicated to contemporary and modern art, including a monumental piece by China's Ai Weiwei. Jack Lang, who was France's culture minister when the Louvre in Paris received its controversial pyramid, said the Abu Dhabi museum would be "much more universal than the Louvre in Paris". "It is a chance to open the idea of a museum to different continents and different civilisations," he said. "It joins the art of the Louvre (and) the Musee d'Orsay, in a space that is much more open and less separated." The museum design, by France's Pritzker Prize-winning architect Jean Nouvel, conjures up the image of an Arab medina as seen through the eyes of a contemporary cinematographer. A silver-toned dome with perforated arabesque patterns appears to float over the white museum galleries, creating what Nouvel describes as a "rain of light".